The 1935 season was fill was tons of optimism as they were following up their 1934 World Championship season. The “Gashouse Gang” had dominated in several categories and now they were essentially all returning. The Dean Brothers were back and things went smoothly for the Cardinals. In July, the team raps 18 hits and behind the complete game of Paul Dean, they now have an 18-game home win streak. On the 18th, Ripper Collins and Burgess Whitehead each have four hits to aid the win. 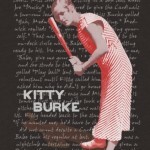 Here is a story about the female, Kitty Burke, that batted in the game. The Cardinals pennant chances die on September 27 when the Cubs sweep a doubleheader and clinch the National League. The Cardinals end their season with a very good 96-58 record. The starting lineup for the 1935 Cardinals for the majority of the season saw catcher Bill DeLancey hit .279 in 103 games played. Ripper Collins had a monster season with 181 hits, 23 home runs, 122 RBI’s and hit .313 as the first baseman. Second base belonged to player/manager Frankie Frisch as hit hit .284, Pepper Marin manned the hot corner and he managed 161 hits with a.299 batting average. Rounding out the infield was shortstop Leo Durocher ad his 78 runs batted in for the team. Patrolling the outfield was Joe Medwick with his team leading 153 games and .353 batting average along with 23 home runs and 126 runs batted in. Jack Rothrock (.273) and rookie Terry Moore (.287) were the other outfielders. The pitching staff was led by the Deans. Dizzy was 28-12 in 50 games with a 3.04 ERA and 190 strikeouts. Paul was 19-12 withe 143 strikeouts and a 3.37 ERA. Phil Collins was 7-6 and sported a 4.57 earned run average. The best paid player on this team was Dizzy Dean as he made $18,500 a year and Joe Medwick raked in $6.000 per season. The best month for the team was August when they went 22-7 and the worst was June when they barely was about the .500 mark at 15-14. They were 10-4 in shutouts, 23-22 in one run games and scored their most runs (16) on June 23 against Brooklyn.